People counters are finally in the reach of even the smallest retailer. Sensormatic Integrated people counters with Sensormatic EAS System delivering huge people counting features for a very modest price. The Integrated EAS people counting systems are installed by Sensormatic Technicians at your customer doors. This discrete, bi-directional device accurately counts the people entering and exiting your store. The people counter is attached to your high speed internet connection. 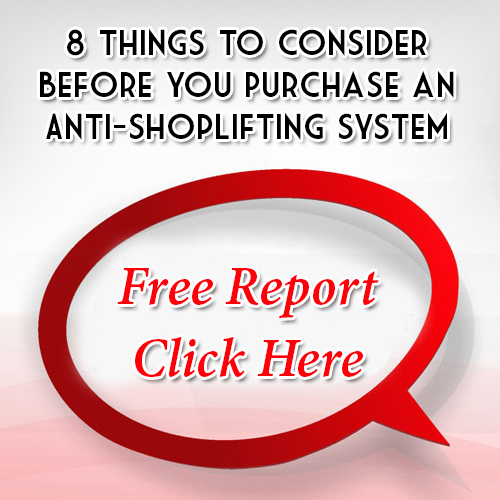 This data enables you to budget resources such as labor at the correct time of day and days of the week, provides visibility to directionality of potential shoplifting events and helps to deliver accurate alarm management. Understand your customers buying habits and maximize your floor space with a discreet store traffic counter. A people counter by Loss Prevention Systems is quick to install and operates quietly behind the scenes. The Integrated EAS people counting system will help you increase sales and reduce expenses. LPSI can install and service your Sensormatic people counter anywhere in the United States. Don’t guess, Sensormatic Integrated EAS people counting systems arm the retailer with information to make better decisions. Contact Loss Prevention Systems today at 1-866-914-2567 or CONTACT US for a people counting systems quote.